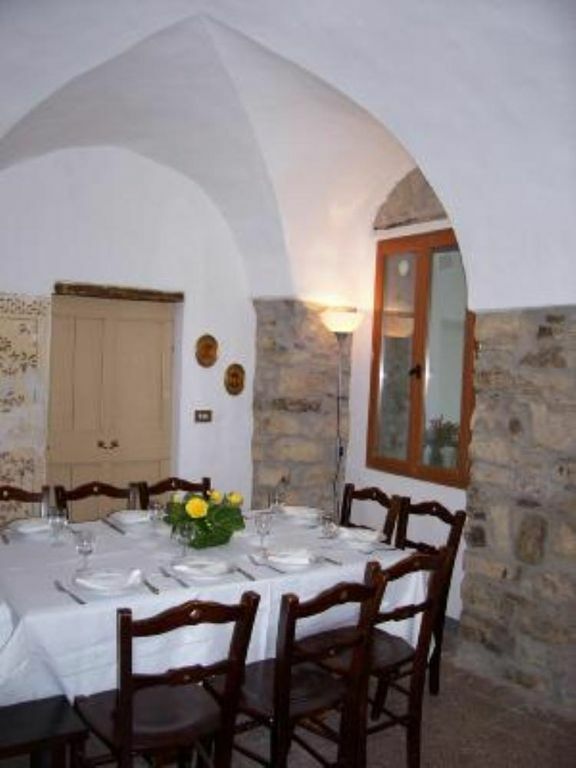 Located in the center of a beautiful medieval village in full tranquility 10 km from the sea of ​​Sanremo and 2 / 3Km from mountain peaks, (highest peaks 2300m). Beautiful house just renovated maintaining the style of the era of construction 1300 with all facilities redone under. Quiet and peaceful place. Excellent panorama immersed in the valley. Place suitable for those who love both the sea and the mountains: possibility of excursions, bike rides and contact with nature, close to the sea (Sanremo) ideal for outdoor life, with a furnished panoramic terrace. Room for five. Nice balcony. Lovely town. Great restaurant. Wonderful natural pool. Es gab nur 2 Schlafzimmer und faktisch ein Bett, Rest Metallliegen, sehr unkomfortabel. Keine Parkmöglichkeit und Zugang zum Haus steil und abschüssig für Kleinkinder und Senioren nicht geeignet. We had a great week in Paulas Apartment in beautiful Ceriana. Very nice Apartment. We lived there with three small children and the Apartment offers a lot of Space good sleeping rooms. Kitchen is small and older. "Casa molto gradevole, spaziosa, luminosa, tranquilla, alla quale fa piacere tornare dopo le escursioni o una giornata al mare. L''allenamento per le gambe è assicurato dalle scale interne e dal "sali e scendi" di questo antico e affascinante paesino." "Sehr schöner Ort, etwas weit vom Meer entfernt."